Harkness Memorial Park is a beautifully landscaped recreation area along the shoreline in Waterford, Connecticut. 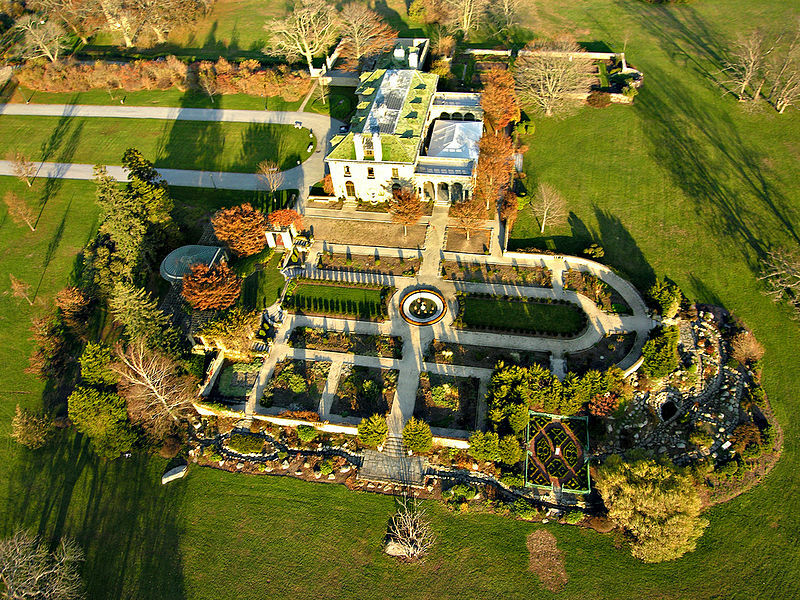 With gorgeous views of Long Island Sound, the site offers visitors over 230 acres of lawns and gardens to wander at their leisure. The focal point of the park is Eolia, a 42-room mansion named for the island home of Aeolus, keeper of the winds in Greek mythology. The Harkness family arrived at their home in Waterford every year around mid-May and usually stayed until the end of September. The 200-acre property was a working farm with chickens and dairy cows and a vegetable garden that supplied fresh produce to the family both in Waterford and in New York City. The grounds included a 9-hole golf course and a garage that housed 5 cars, 3 limousines, and a truck used to cart 1,500 pounds of ice to the home every other day during the summer. The property also had a windmill used to pump water into the home’s 20,000-gallon water tank. 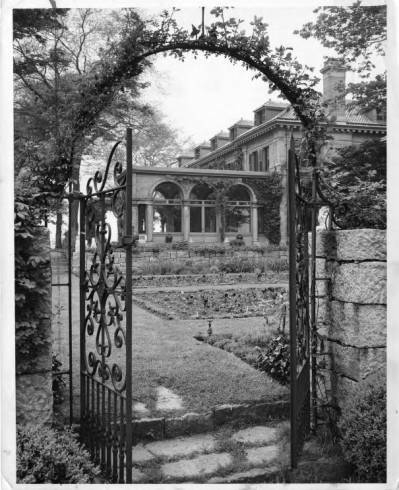 Upon her death in 1950, Mrs. Harkness left the property to the State of Connecticut, specifying the grounds be used for the purposes of promoting good health. In 1952, the land became a part of the state park system, receiving its official dedication in 1953. For a fee of 50¢ for adults and 25¢ for children, visitors could stroll the grounds around the Roman Renaissance-style mansion and breathe the therapeutic salt air. Shortly after the park’s dedication, the state began utilizing it as retreat for handicapped children. Between 1953 and 1954, the state doubled the number of handicap-accessible cabins from 6 to 12, allowing over 1,000 children to spend part of their summer relaxing and playing in the countryside. After over 40 years of service to the state, the park began to look its age and proved in desperate need of repair. A $3.8-million renovation begun in 1996 restored the mansion and gardens to its 1930s-era glory. Renovators stripped and refinished walls and ceilings, while also repairing and replacing doors, windows, and floors. Outside, workers restored fountains, installed an irrigation system, repaired garden walls, and replanted much of the garden’s flowers and shrubs in the design of the original landscape. 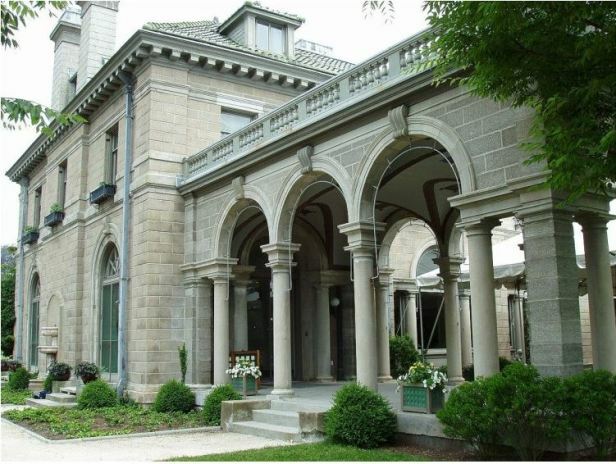 Today, in addition to offering spectacular views of Long Island Sound and a glimpse into upper-class life in the early 20th century, Harkness Memorial Park hosts weddings, business conferences, and private parties as a way of extending its public service in new directions. “Harkness Memorial State Park.” Department of Energy & Environmental Protection, 2017. Link.